Jess Jacobs is a highly-regarded speaker. She has spoken to audiences nationally on the topics of women’s rights, women in media, authenticity and entrepreneurship. "Equality and Authenticity in Entertainment: How Females are Misrepresented in the Media & How to Fix This"
As an actress and co-founder of the women-led production company Invisible Pictures, Jess is pioneering film, TV and digital content that transform the role of women in media. In this inspiring talk, Jess describes the lack of authenticity in media and how she felt that the type of content being repeatedly presented to her subjected her to female stereotypes. She was determined to change this and is doing so through Invisible Pictures and her advocacy work. In this talk, Jess highlights examples of women in the media, discusses a roadmap to eradicate misrepresentation and increase authenticity in media, and describes how we can all fix these important issues together. "Gender Equality for A New Generation: Five Ways Young Female Activists Can Change the World"
Jess Jacobs is a young female actress and activist who shares in this inspiring talk five ways that young females from all around the world can become powerful activists. She shares insights into using modern tools for organizing and mobilizing others. As a firm believer that change must first start within, Jess also describes how her own journey enabled her to become more confident in her work and help transform the world around her for the better. 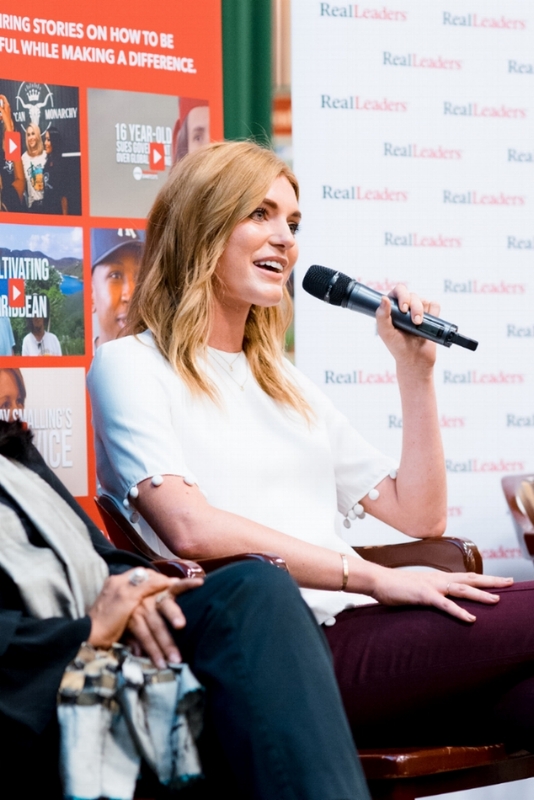 "Shifting the Paradigm: Why We Need Real Women Leaders Now"
As successful actress and entrepreneur, Jess has used her role as a female leader to inspire thousands of young women worldwide. Being taken seriously as a female leader has had its obstacles, and Jess has made many observations along the way. Jess has identified that, in so many ways, it's still a man's world - and in order to succeed, many women are taught that they must "play the game." They must adhere to societal constraints to mask their femininity rather than own their feminine power. Jess explains that being a female leader isn't "cute" but instead presents a massive opportunity and is often more collaborative than male leadership too. Jess wants to change the game and make the world a better place. In this talk, Jess helps explain how we can all do this together.